More WFC Siege! I wasn’t joking when I said I was actually grabbing off the shelf main line figures this year ? 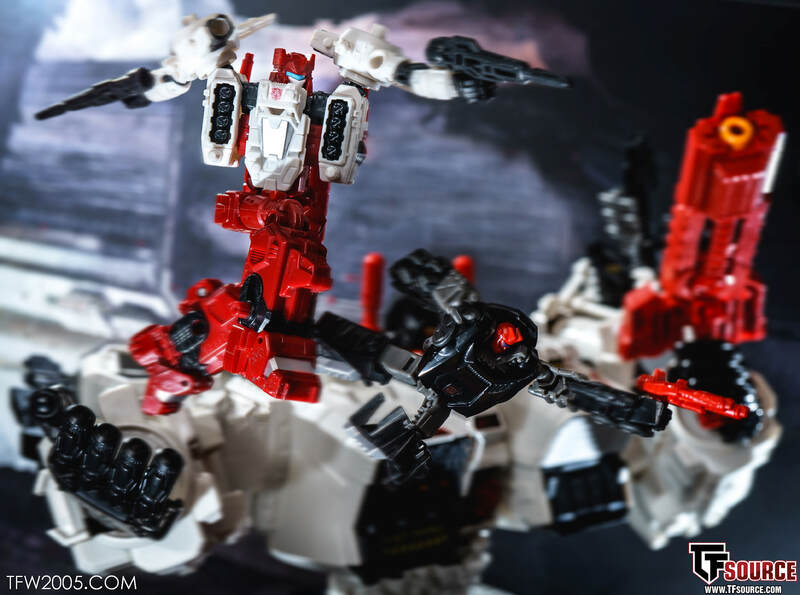 Today we are sharing the gallery for Deluxe Sixgun, a recently released Deluxe wave 2 figure. He comes packed along with Ironhide, Chromia and Prowl. I was looking forward to Mr. Sixer specifically though because I was/am a big fan of Generations Metroplex, he’s been a centerpiece on the top shelves for a while and always thought he deserved his crew. Now we have Sixgun and Scamper, so come on Hasbro, give us that Slammer. ? Sixgun has &#187; Continue Reading. The post Transformers War for Cybertron Siege Sixgun Gallery Live (And Optimus and Hound Too) appeared first on Transformer World 2005 - TFW2005.COM.